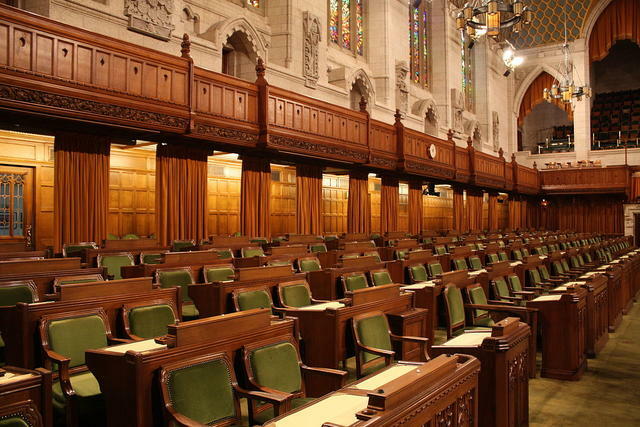 Bill C-93 does not contain mechanisms to pardon those convicted of production or trafficking, which Bill Blair said were more complex and frequently involved “a criminal element.” It also does not apply to possession of synthetic cannabinoids, nor does it apply to post-legalization possession convictions under the Cannabis Act. NDP critics said the bill did not go far enough because it did not expunge convictions. Pardons do not destroy criminal records, which remain accessible to many parties, including US Customs and Border Protection. Public security minister Ralph Goodale argued expungements may only be used when a law is found unconstitutional. Cannabis Amnesty director Annamaria Enenajor said, “Canadians deserve freedom, not forgiveness.” She said the bill did not go far enough, and called for expungements. Statistics Canada included legal and illicit cannabis spending in national economic accounts for the first time. It found annualized Q4 spending on illegal cannabis was $4.7B, and $1.2B on while spending on legal cannabis was $1.2B. The comment brought swift rebuke from Hexo’s Terry Lake, and Auxly’s Chuck Rifici, who characterised the statement as completely false. MADD’s data connecting cannabis with car accidents has long been criticized as misrepresenting the role of cannabis in vehicle fatalities. The numbers in question only confirm drivers had cannabis in their systems (meaning they could have consumed it within the preceding month. The GrowthOp’s Emma Spears noted even by MADD’s numbers alone, which found cannabis “present” in 45% of fatal crashes, Murie’s statement could not be supported. A survey sponsored by Tetra Bio-Pharma found 65% of Canadians would take a drug containing cannabis if their doctor prescribed it and it was covered by insurance. If the drug in question was not covered by insurance, 38% would still be willing to take it. A striking 82% of respondents trusted cannabis to reduce pain and other symptoms, and 68% were willing to take cannabis for chronic pain, insomnia, anxiety, and depression. However, 54% believe taking MED without a doctor was risky. Insurers wonder whether edibles will be considered “a drug” now that they are legal—and whether that will prevent those involved in accidents from acknowledging their exposure to cannabis. The GrowthOp surveyed the prices of legal REC by province. Canadians are allowed to give cannabis as a service gratuity, but it must be less than 30 grams of legal product, and they must first ascertain the recipient is of legal age. Vice reporter Manisha Krishnan—a non-driver—got high and was tested on a driving simulator and by a drug recognition expert. The DRE found her not to be impaired, but because earlier in the test she showed enough symptoms of of intoxication she to make her liable for an arrest, she would also have risked having her license being suspended. 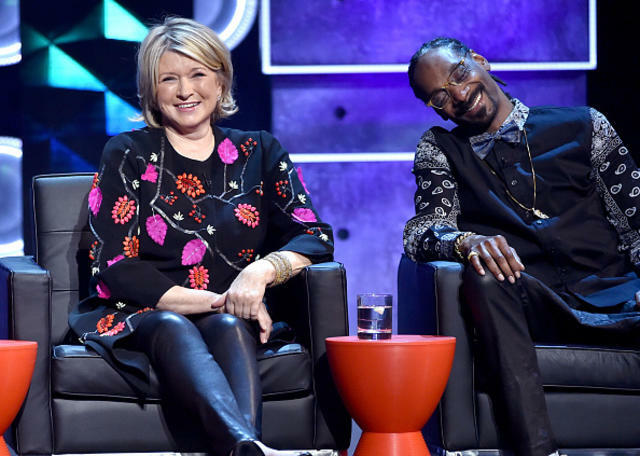 Martha Stewart joined Canopy Growth in an advisory position, saying she will decide which products and projects to support on a case-by-case basis. She will help develop a line of CBD products for humans and animals. Canopy CEO Bruce Linton admitted taking a lock of Stewart’s hair the first time they met. Though convenience store giant Couche Tard has only made a deal with Canopy to open a single REC retailer in Ontario, the possibility of a partnership between Canopy and Couche Tard is packed with potential. Couche Tard’s holdings include 16,000 stores in every continent except Africa and Oceania. Canopy CEO Bruce Linton would not say whether this deal was the beginning of any future partnership. One direction Canopy is pursuing is genetics, through which the company hopes to exert greater control over the experiences consumers have with its products. Lee reviewed Organigram’s cultivar “Trail Blazer”—both in preroll form, and in a 3.5-gram container. Lee noted the two single prerolls were each sold in boxes, with plastic trays and foil wrappers. Plastic-heavy overpackaging remains a source of enormous complaint within the industry, though Health Canada’s rules are so stringent many producers say it would be hard to reduce packaging without breaking the law. Ascent Industries subsidiary Agrima Botanicals was the first LP to be stripped of its license, for reasons that have not yet been made public. 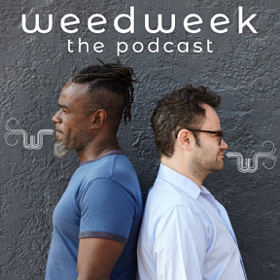 Will Dooma Be the King of (Cannabis) Beers? 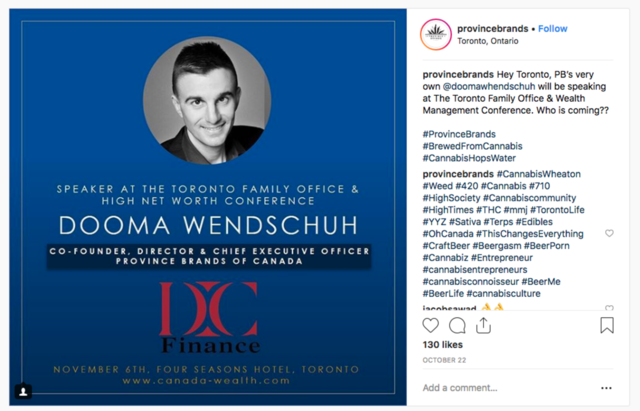 WeedWeek founder Alex Halperin tells the story of Michael "Dooma" Wendschuh, CEO of Ontario-based cannabis beer company Province Brands. Dooma previously founded Colorado's Ebbu, whose intellectual property was acquired last year by Canopy Growth. With edibles--and drinkables--months away from legalization, Province is betting on demand for the novel beverage. Having spent more than a year developing cannabis beer with Province, Dooma hopes the resulting product will be "the first true alternative to alcohol." Aurora received its sales and cultivation licenses for its $150M Aurora Sky facility near the Edmonton airport. Aurora also announced it had acquired a 51% share of Portuguese MED applicant Gaia Pharm. Aphria signed a worldwide license agreement with pharma firm Manna Molecular Science to produce and sell transdermal MED patches. Fire and Flower began trading on the TSX venture Exchange with a market cap of $125M, representing seven REC stores in Alberta and two in Saskatchewan. It is out of the ordinary for a market cap to be so much greater than a company's sales. WalMart Canada removed Storz & Bickel’s Volcano Medic vaporizer—now owned by Canopy—from their website. “We do not have plans to carry cannabis and cannabis-related products at this time,” said a WalMart representative. WalMart’s US site still carries a variety of Storz & Bickel vaporizers, as well as vaporizers by other manufacturers. Health Canada says the recent spate of recalls related to mould and labelling errors is a sign the oversight system is working the way it’s supposed to. At the moment, no LP is licensed to cultivate outdoors, but 172 companies have open cultivation license applications that include outdoor areas. Toronto Life magazine interviewed industry leaders about their relationships with cannabis. Alberta leads the country both in REC stores (75, with 633 license applications awaiting approval) and per-capita spending on cannabis. Edmonton’s city council recommended an exemption to cannabis-store buffer-distance rules in order to allow stores in shopping malls like the West Edmonton Mall, where Aurora announced last week it planned to open a retail location. BC’s cannabis excise tax revenues are much lower than the province expected. A year ago, the province expected $70M in revenue, but so far has seen only $17M. Cannabis companies across BC are having difficulty finding banks willing to do business with them. For the first time since cannabis was legalized, Vancouver police raided an illicit dispensary. Police said rather than the first instance of a wider crackdown, the raid was connected with five search warrants executed across BC as part of an organized crime investigation. Ontario REC sales numbers declined 1.5% to $8.7M in December from $8.9M in November. Ontario’s Workplace Safety Insurance Board (WSIB) moved to provide blanket coverage for MED in treatment of neuropathic pain, spasticity from spinal cord injury, chemotherapy-related nausea, appetite loss due to HIV or AIDS, and pain in palliative care. To be eligible, claimants must have already tried conventional treatments, and have received a clinical assessment for MED, among other rules. Ontario was intent to keep LPs out of the running for the first 25 REC stores, banning them from entering the lottery, but LPs have found a way in all the same. When Ontario’s REC stores open next month—presuming some manage to make it on time, which many won’t—a significant number will be affiliated with major producers. 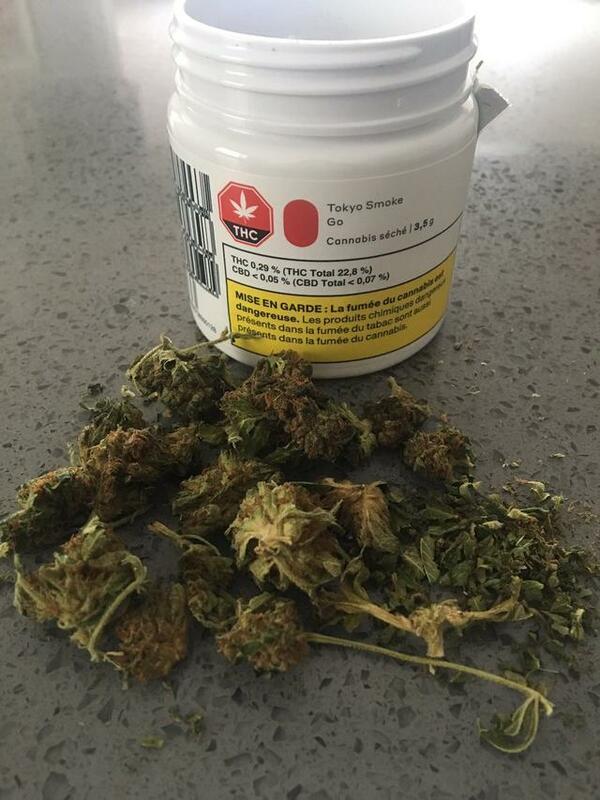 A former Toronto dispensary owner who shuttered his business to comply with the law is suing the Ontario government for $1.1M over their decision to cap the number of Ontario retailers at 25. Lawyer Jack Lloyd attacked Hamilton police for shutting down dispensaries serving MED patients, saying Hamilton police violated a 2017 Superior Court decision allowing the Hamilton Village Dispensary to remain open selling cannabis products to those with prescriptions. He plans to sue the police department. Toronto police raided a dispensary operating from the back room of a head shop, and it led them to a warehouse full of cannabis products, including large quantities of bulk edibles. They charged one. Protests in Akwesasne Mohawk Territory over dispensary raids resulted in police cars being burned. 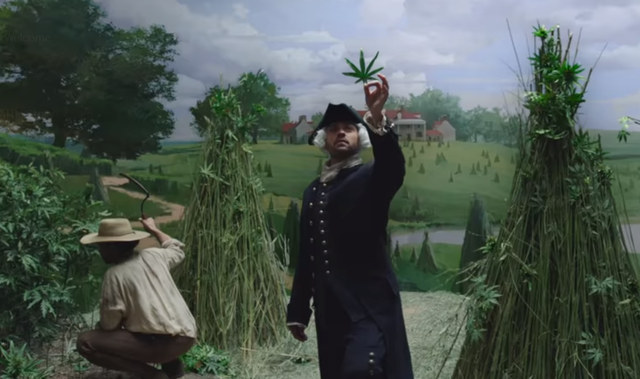 The dispute goes deeper than cannabis. Recently, the Mohawk Council of Akwesasne settled a 130-year-old claim over 8,000 hectares of land, the result of a vote in which many believe not enough residents participated. As well, increasing numbers of non-Indigenous people have joined the Akwesasne Mohawk Police Service, which does not sit well with community traditionalists. After years of public reticence toward legal cannabis in Quebec, many expected Quebeckers would be unenthusiastic consumers of legal REC. Instead, Quebec spent more on cannabis—$33.3M—than any other province. Alberta came in close behind with $32.9M spending, substantially more per capita. In surveys, Quebeckers still say they use less cannabis than the rest of Canada. While 37% of Ontarians and 41% of British Columbians said they had used MED or REC, only 20% of Quebeckers said they’d done so. 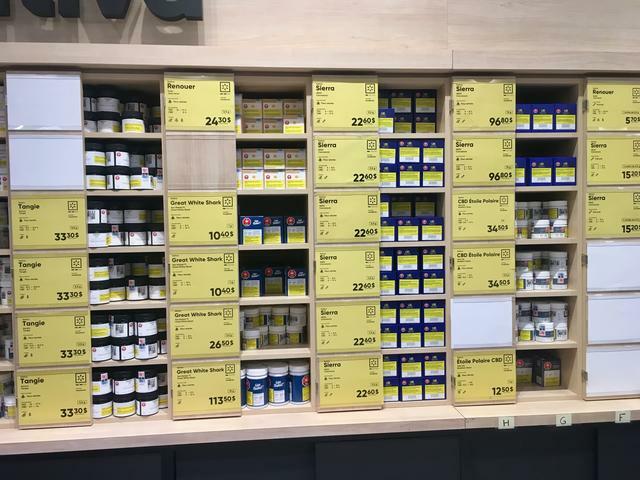 With supplies increasing, the Société Québécoise du Cannabis began opening its stores on Wednesdays, leaving them closed only on Monday and Tuesday. It will be the first province to carry outdoor-grown cannabis sourced from 48North. I summarized the last two weeks of debate over the CAQ’s Bill 2 to raise the cannabis age and ban public smoking for Leafly. Quebec’s opposition reacted with ire to a suggestion from the CAQ government last week that those who wished to use cannabis in public (or in homes where landlords or condo boards banned smoking and vaping) could just have edibles instead. The Quebec National Institute for Public Health argued edibles carry too many risks to be presented as a solution to cannabis smoke in public. 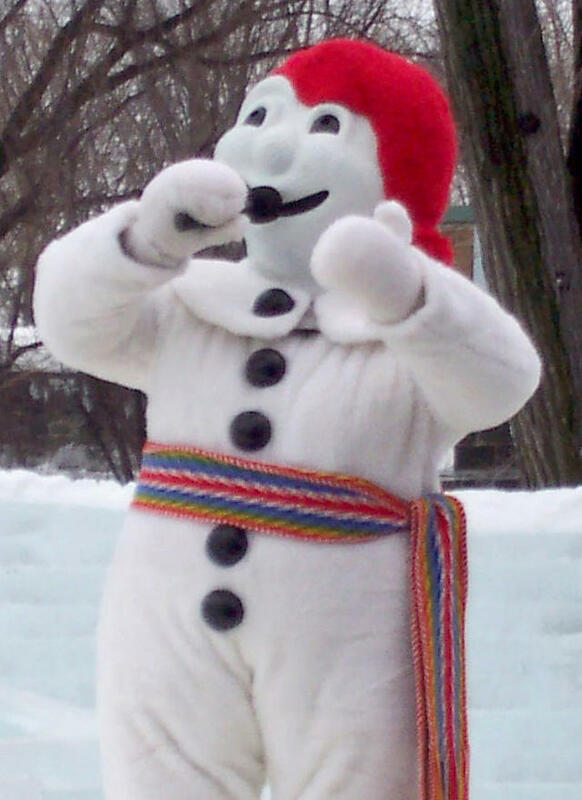 Left-wing opposition party Québec Solidaire presented a motion before the province’s National Assembly recognizing the age of majority in Quebec is 18, and stating at that age Quebeckers are capable of making decisions for themselves related to their health and lifestyles. This is a challenge to Bill 2, which seeks to raise the cage for cannabis to 21. Canadians for Fair Access to Medical Marijuana introduced a petition pressuring the Quebec government to allow MED users to use cannabis anywhere tobacco is allowed. The Atlantic provinces still have Canada’s greatest appetite for cannabis. New Brunswick’s People’s Alliance party leader Kris Austin wants to privatize liquor and cannabis stores, but members of the Green and Liberal parties opposed the idea. The Progressive Conservative government did not comment on the issue. Despite its 1.2M population, Saskatchewan sold $2.5M worth of legal REC--less than any other province. PEI, whose population is only 150,000, sold more than $3.4M worth. The Muscowpetung First Nation filed a court challenge to the federal government and the government of Saskatchewan, seeking court recognition that they hold the inherent right to self-government which empowers them to regulate cannabis themselves. Regina police reported no cannabis DUI charges since legalization. The owner of a Regina REC retailer blames the illicit market for his slow sales. Officials from the Manitoba’s Liquor, Cannabis and Gaming Authority seized an impressive $34,000 worth of edibles and other unlicensed cannabis products being sold at Winnipeg’s HempFest Cannabis Expo.